While the process of choosing the right floor alone probably isn’t going to elevate you into some monk-like realm of enlightenment, it can certainly be a positive step towards a healthier and happier lifestyle. In fact, numerous scientific studies have shown that aspects of green living can make a positive impact on our lives. “Life, liberty and the pursuit of happiness” are enshrined in the Declaration of Independence. Of course, the meaning of the word “happiness” in this context is often the subject of debate. 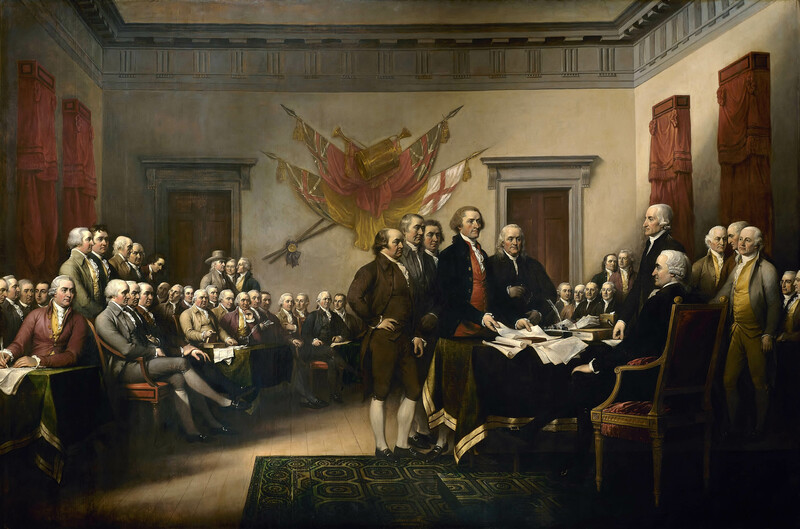 Back in 1776, its meaning was perhaps a little different from what it is today. But, for now, let’s agree that happiness includes feeling good about ourselves and the world we live in, and living a fruitful, long life. Though perhaps its meaning is not a changeable as we might think; back in 350 BC, Aristotle equated happiness with being well and doing well. We can’t disagree with that. Of course, Bob Marley had his own take on happiness. It’s only human to want to feel healthier, happier and generally more efficient in our work and private lives. Running, working out, and otherwise keeping fit all help us live longer more productive lives, though according to the experts we still don’t do enough of it. But the buildings we live and work in also make a huge difference as well as how much we take care of the environment. 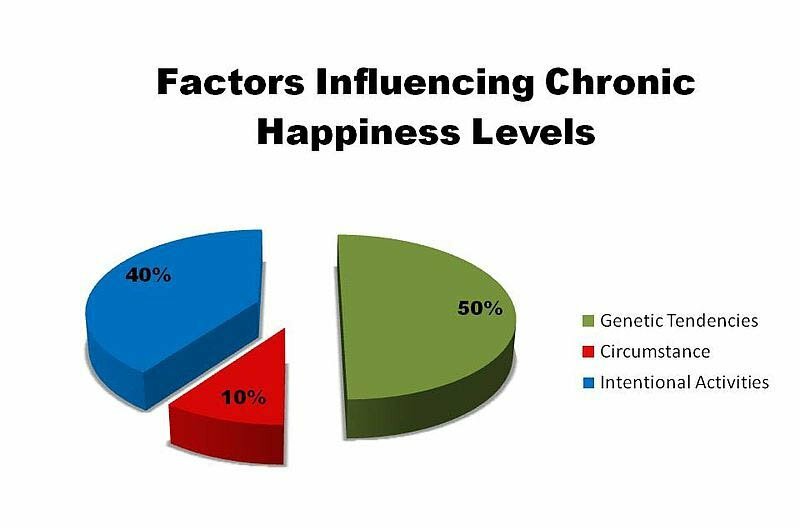 There have been numerous scientific studies on the relationships between health, happiness and the environment. Much of this centers on the nature of wellbeing, in other words, that a positive state of mind gives our lives quality. We can’t control all aspects of our wellbeing: fifty percent of it is down to our temperament and personality, and ten percent is determined by our income, health and where we live; but that leaves a huge forty percent that we can control. Check out the pie chart below. A pleasant life, which is all about enjoying life and having positive feelings, relationships, hobbies, and interests. A meaningful life, which is about achieving a positive sense of well-being and purpose by contributing or giving back to nature and society. So how does going green make me happy? In the US, around 24 million people suffer from asthma, and 6 million of them are children. Not all asthma attacks are the result of allergies, but most of them are, around 60%. The most common allergens in the home are dust mites, pollen, and pet dander, which is composed of tiny flecks of skin shed by your pet. Given that 27% of US homes keep cats and 32% keep dogs, that is a lot of allergens floating about. 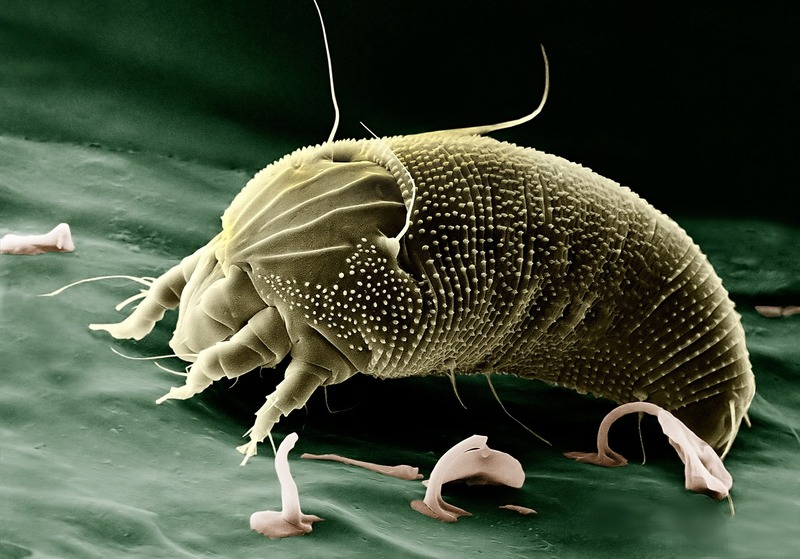 These allergens love to hide, and, in the case of dust mites, breed in carpets. This nasty looking fellow is a house dust mite. Just eight-thousandths of an inch long and translucent, dust mites are impossible to see with the naked eye. They feed of skin flakes and produce a wide range of powerful allergens. If you have wall to wall carpet in your home and you keep a pet, then that is a double whammy. Replacing that carpet with sustainable hypoallergenic floorings such as eucalyptus or bamboo flooring will have an immediate effect on hugely reducing the allergens in your home, with a potentially massive positive impact on your health, well-being, and, of course, happiness. When you are at work, do you frequently feel a mid-afternoon slump when your concentration declines and your productivity hits a low? There are many potential reasons for this. Perhaps we are experiencing a drop in our blood sugar level as we ate too many carbs at lunchtime; we are a little dehydrated; we have been sitting around without exercise for too long, but it can simply be down to the fact that our work environments are unhealthy. Studies show that greening the workplace reduces cost, improves people’s productivity, reduces absenteeism, and increases motivation. Just simple measures such as improved ventilation, more natural light, indoor plants to freshen the air, and generally taking a more sustainable approach to work all make a difference. 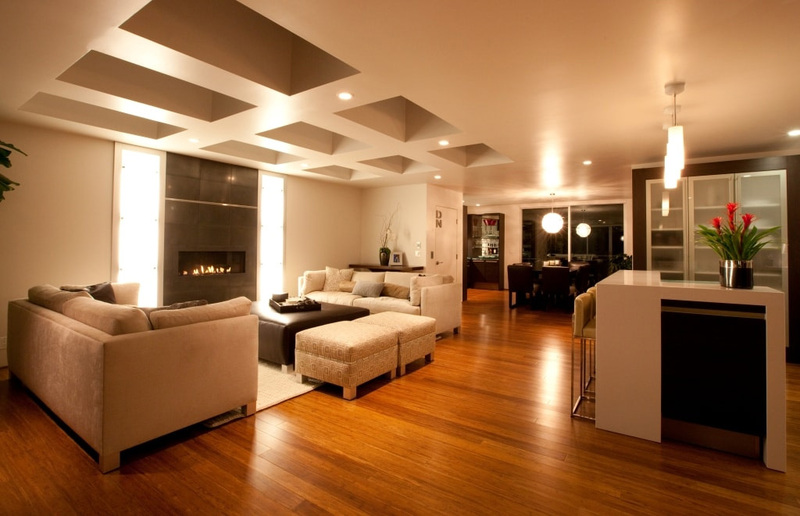 How do the different types of floors affect health and happiness? We have already mentioned allergens such as dust mites that love to live in our carpets and soft furnishings. While regular vacuuming and periodic deep carpet cleaning can help, why not replace your carpets entirely with a sustainable flooring material such as bamboo or eucalyptus? While carpets feel soft underfoot, provide insulation, and are easy to install, and are available in a wide variety of textures, styles and patterns, they are difficult to keep really clean and, in addition to dust mites, harbor many other pathogens and odors. An additional problem with carpets is VOCs or volatile organic compounds. These are a significant health hazard in the home, particularly formaldehyde, organochlorides, and phenols. These occur in carpets and underlays and are emitted by carpets especially when they are new. That nice new carpet smell you get immediately after installation could be damaging your health. Should you carpets get wet, they are difficult to thoroughly dry. Damp deep pile carpets are excellent places for harboring mold and fungi which can trigger a wide range of allergic and toxic reactions. 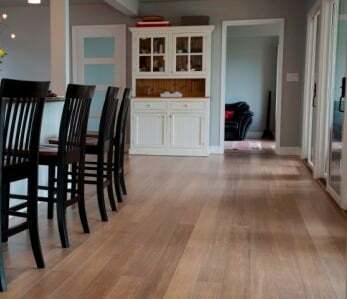 Bamboo and eucalyptus floors avoid all those issues. They don’t trap odors and are the perfect solution for anyone subject to asthma or any other respiratory problem. If you keep a pet, should it ever make a mess on your bamboo floor, then it’s easy to clean up and disinfect with any proprietary cleaner; this is certainly not the case on a carpet. 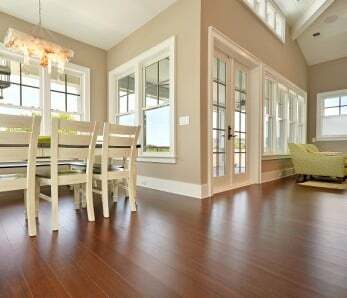 We call bamboo, eucalyptus, and hardwood flooring hypoallergenic as these materials are not associated with producing or harboring allergens. We need to exercise a little caution here as there is no formal standard, it just means they are far less likely to trigger an allergic reaction. 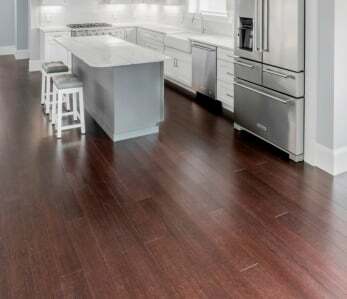 But, as there are no nooks and crannies for allergens, dust, and mites to lurk, and cleaning bamboo and eucalyptus flooring is so easy, these floors are highly unlikely to be associated with any kind of allergic response. 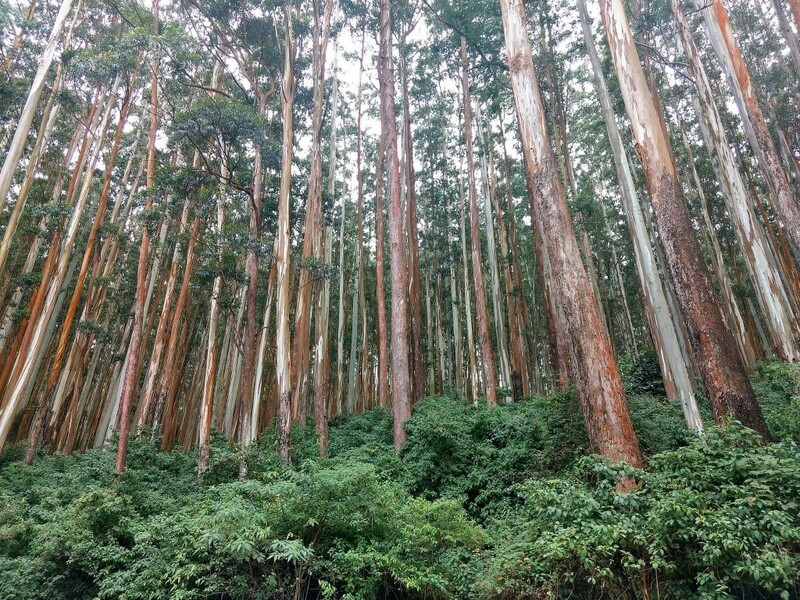 Both bamboo and eucalyptus are highly sustainable. They grow rapidly and mature quickly causing minimal disruption to the environment. When you choose to install floors made of either of these, you are reducing your carbon footprint and doing your bit to help create a greener, more sustainable planet. As we indicated above, this ticks several of the boxes we associate with improving well-being. If we really care about future generations, it is imperative we bequeath them a planet that is better than the one we inhabit currently. We can contribute to this by making greener decisions that make a positive impact and increase sustainability. 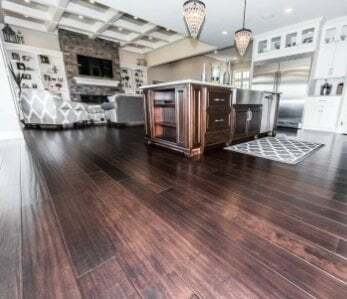 As we show, even simple decisions, such as making greener choices regarding our floors, can bring about huge improvements to both our health and our happiness. Despite happiness being a major concern of humans through the centuries, the science of happiness is still a relatively new subject, and psychologists and scientists are still searching for common ground. Do you intend to make a greener decision in the near future? 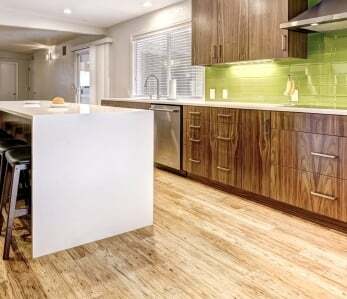 Are you considering installing sustainable flooring? How will it impact on your life? Let us know below; we look forward to your comments. ‹ Sustainable Living – what does it really mean?